0	0	Project Pearl	In Stock - Order before 2pm for same day dispatchWant it on Wednesday 24 April? Project Pearl was the delivery, in June 1981, of one million Bibles into China by a tugboat and barge manned by twenty dedicated missionaries. The delivery was soaked in prayer and took place right under the noses of the People's Liberation Army and the naval patrol boats and coastal radar of China's Guangdong Province.It was organised by Brother David, a big ex-Marine and friend of Brother Andrew ('God's Smuggler'). David's military training proved crucial in this audacious, visionary feat. His story is at the heart of this book.The immediate consequence of Project Pearl was that Chinese printing presses started to turn out Bibles too: the longer term consequence was to stoke the flames of the Chinese revival which are now so wonderfully evident. Project Pearl by Brother David; Paul Hattaway was published by Lion Hudson in October 2007 and is our 18121st best seller. 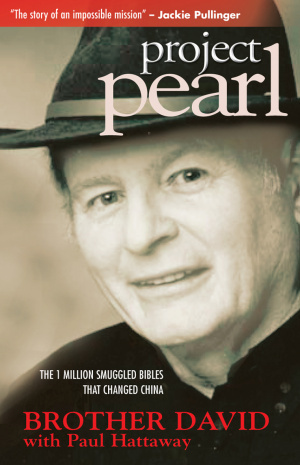 The ISBN for Project Pearl is 9781854248534. A book that grips the attention from start to Finish. I started at Leominster, travelled to Surrey by train and finished at Swindon on the return journey. I was then able to close my eyes and pray till Newport and yet another change! What a story! Back in the seventies when China was firmly in the grip of Mao Zedong, Bibles were smuggled into china by the suitcase load, but the need far exceeded what could be transported in this way. This story is of how with the help of many hundreds of faithful Chinese the dream of shipping 1,000,000 Bibles in one trip, under the noses of the Chinese officials, became a reality. I had not known of this shipment before Project Pearl came into my hands. I will not spoil your pleasure by telling you any details, suffice it to say that Brother David told his story to Paul Hattaway many years later, in the months before he died. A wonderful testimony to the many who were involved. Got a question? No problem! Just click here to ask us about Project Pearl.